Ways to give to LCC and giving last month. At LCC, we take the Bible at its word, and this is true even when it comes to the money that the Lord has blessed us with. The Scriptures teach us that cheerful giving is one critical aspect of obedience to God and to experiencing the joy of faith in Christ. We believe that the local church is God's way of reaching those who don't yet know Christ and blessing the world, and we're excited to be His hands and feet here in Hilliard and through our missions partners around the world. 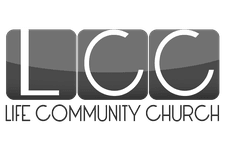 Thank you for prayerfully considering your gift to LCC. Shop at smile.amazon.com/ch/31-1441147 and Amazon donates to Life Community Church.